In a fast-paced world full of technology and consumers that are always on the go, there is a constant need for devices that are durable and convenient. When it comes to a body trimmer and groomer, there are many options to choose from. Many people are in search of convenience, for one body trimmer and groomer that does it all. Gillette has been keeping up with the consistently changing times, and may have created exactly what you have been looking for. The Gillette Fusion ProGlide 3-in-1 Styler offers everything you need for grooming and trimming all in one handy device. Whether you are looking for the perfect goatee, sharp sideburns, or a thin but dominant chinstrap, the Gillette Fusion ProGlide will allow you to master the look that you desire with the use of only one grooming device. 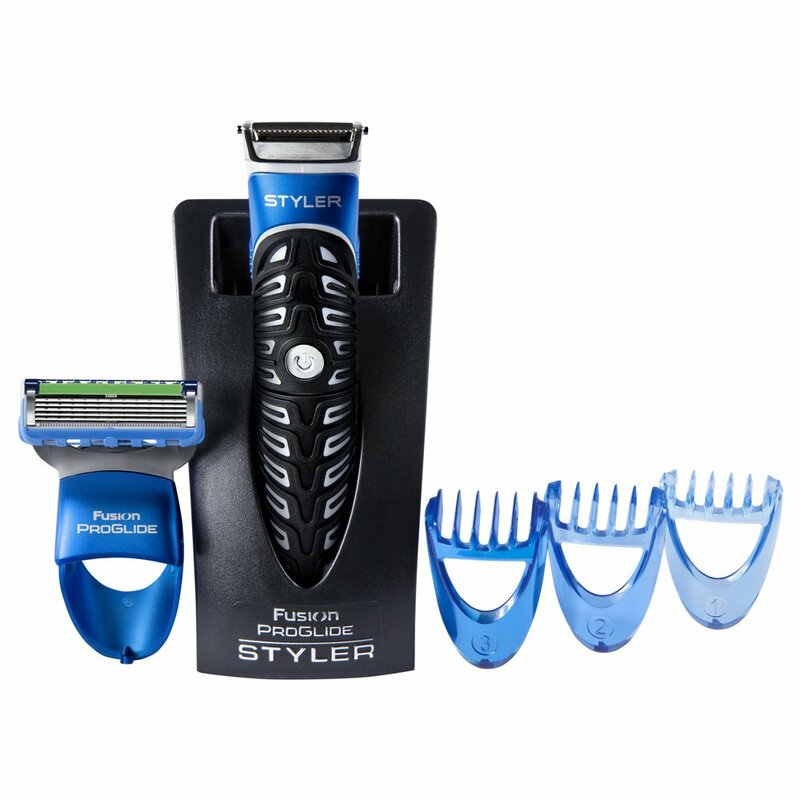 The Gillette Fusion ProGlide is a cordless groomer and trimmer. This reduces the hassles of a cord getting in the way of your shave or the charge running out when you are only half way done. The Gillette Fusion ProGlide has an abundance of good qualities, but it is also important to address the other side of the coin. This trimmer only takes 1 AA battery to operate. Therefore, it may be a good idea to have a few spare batteries on hand in case the battery dies while you are grooming. This product may not be the best product if you are trimming an extremely thick beard. It seems that it could clog the trimmer, resulting in a lack of power to the device. For thicker beards you may have to spend more time with this trimmer and brush the blades constantly, in our opinion the ProGlide is aimed at the stubble trimming audience. The Gillette Fusion ProGlide is shower safe and can be used on your face or body. Overall, this product is best suited for men who wish to maintain some sort of facial hair. It offers everything you will need to keep your style looking at its best.